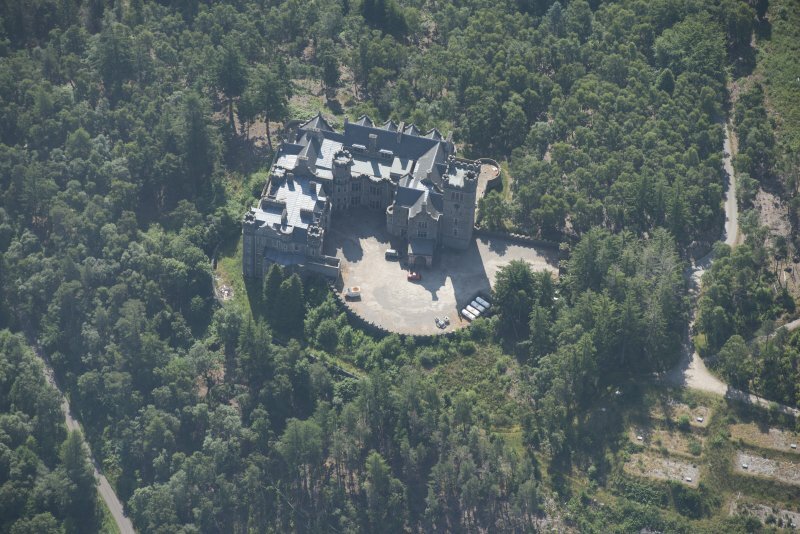 Oblique aerial view of Carbisdale Castle, looking WSW. 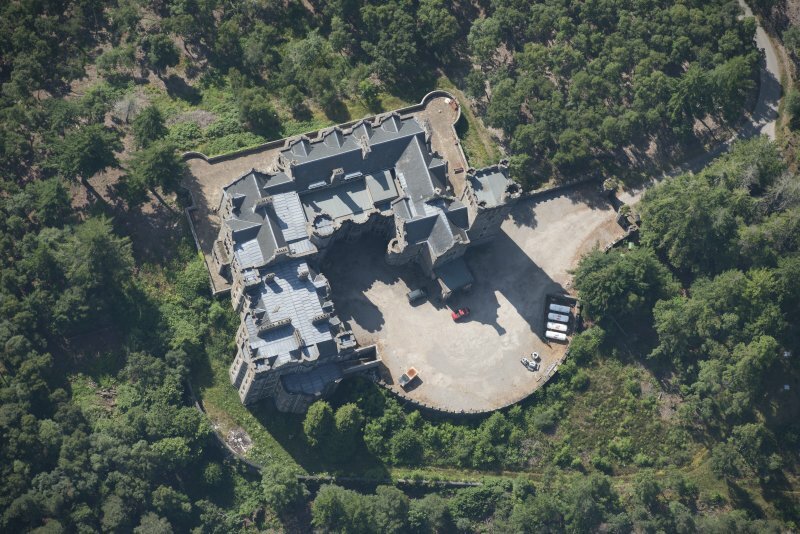 Oblique aerial view of Carbisdale Castle, looking ESE. 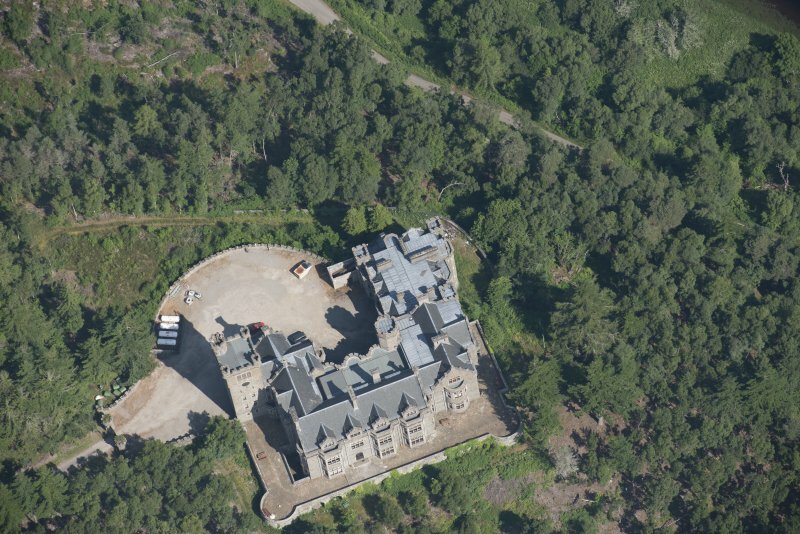 Oblique aerial view of Carbisdale Castle, looking SE. 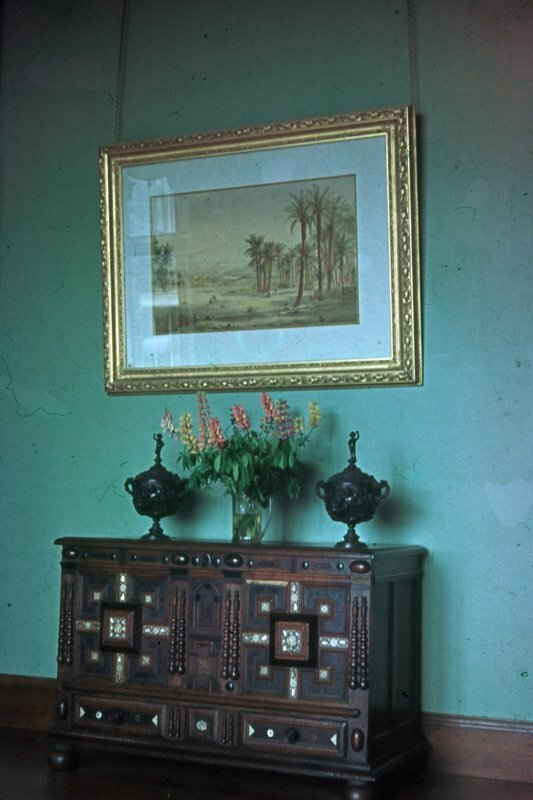 Carbis Dale Castle, Interior detail of Credenza. 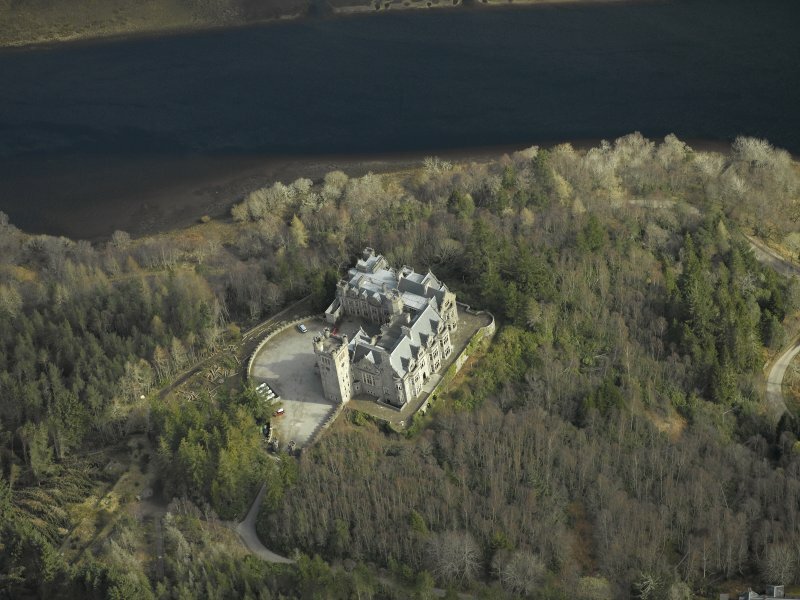 Oblique aerial view of Carbisdale Castle, looking NW. 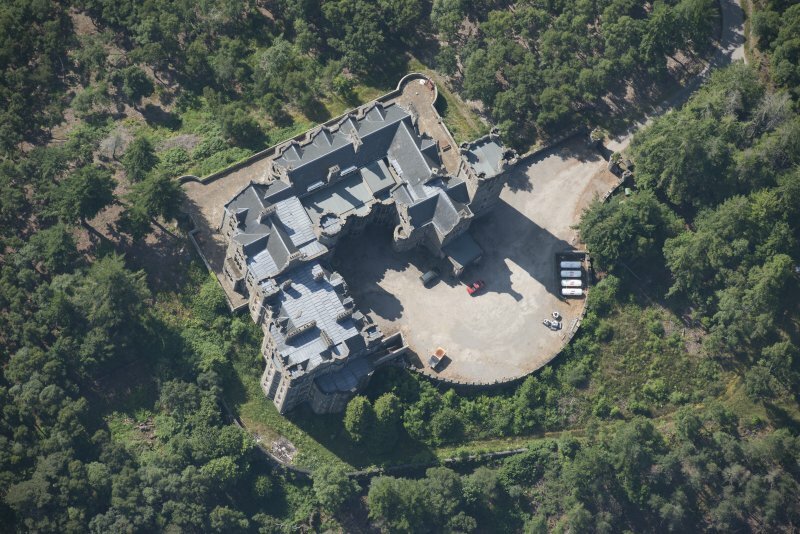 Oblique aerial view of Carbisdale Castle, looking NE. 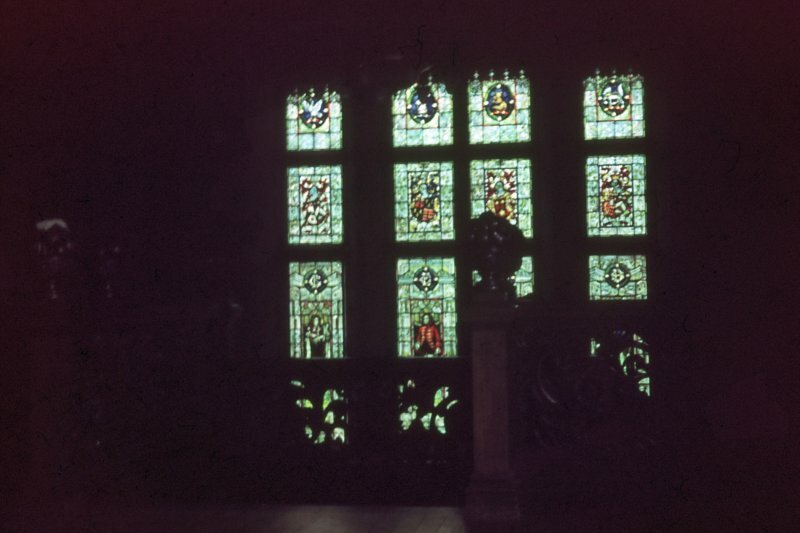 Carbis Dale Castle, Interior view of stained glass window. 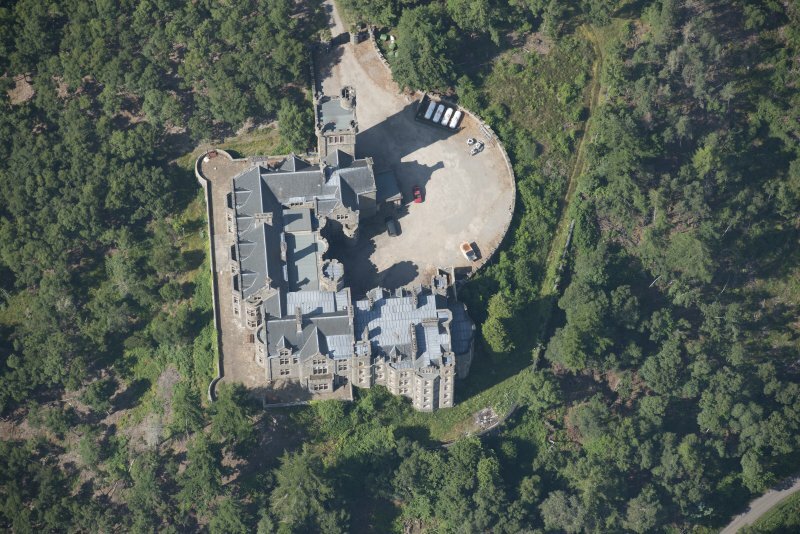 Oblique aerial view of Carbisdale Castle, looking WNW. 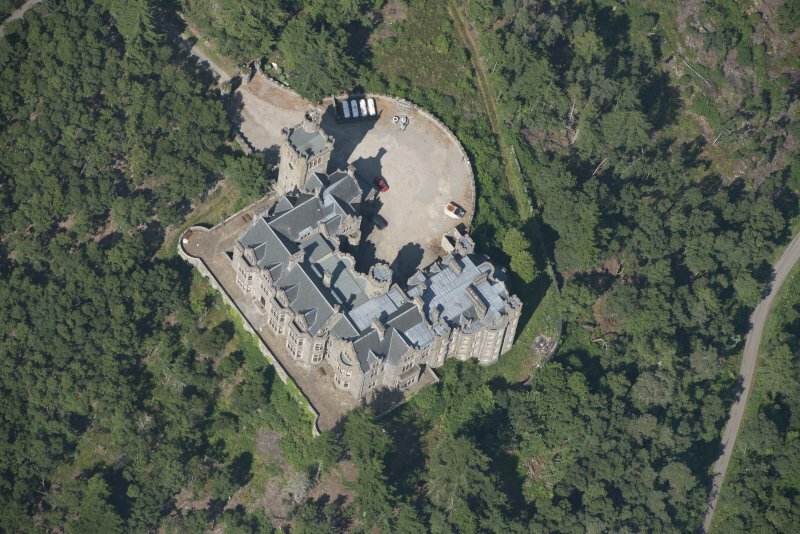 Oblique aerial view of Carbisdale Castle, looking N.
Carbisdale Castle, Interior. 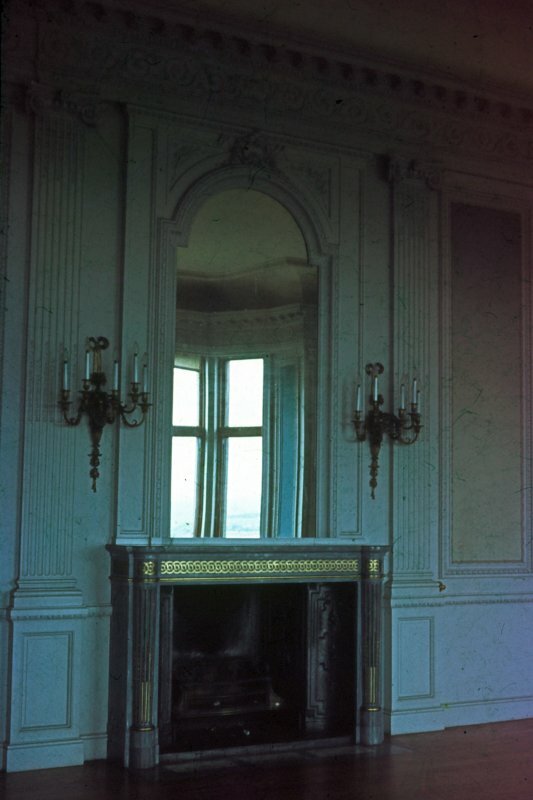 Fireplace and ornamental mirror. 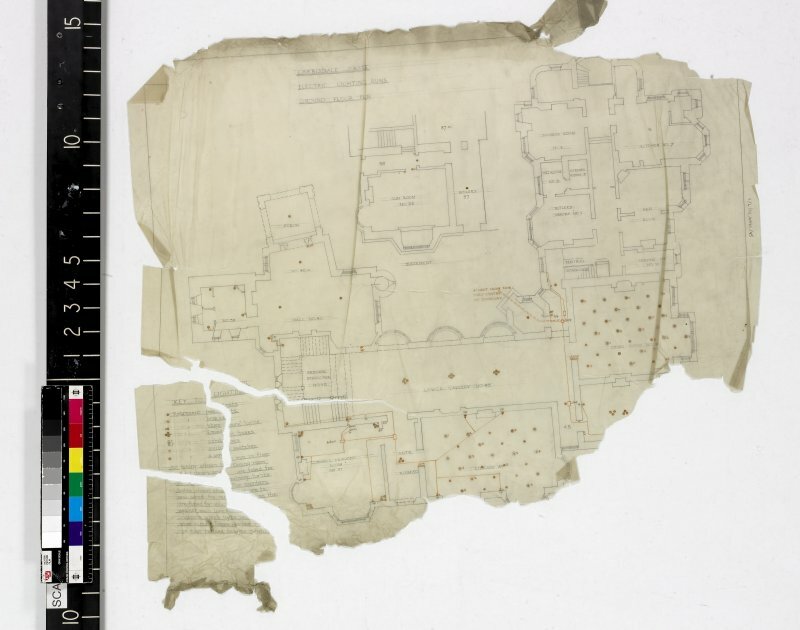 Ground floor plan with details of electric lighting runs. 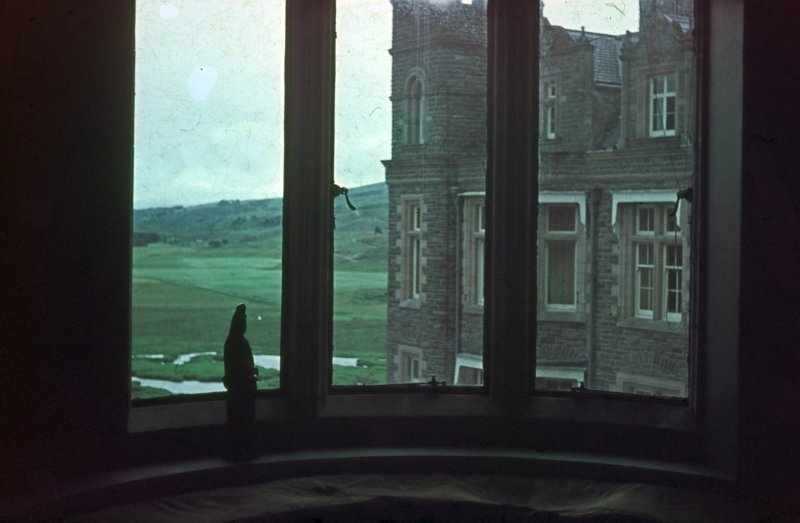 View of sculptures in stone hall, ground floor of Carbisdale Castle, Highland, taken from East North East. 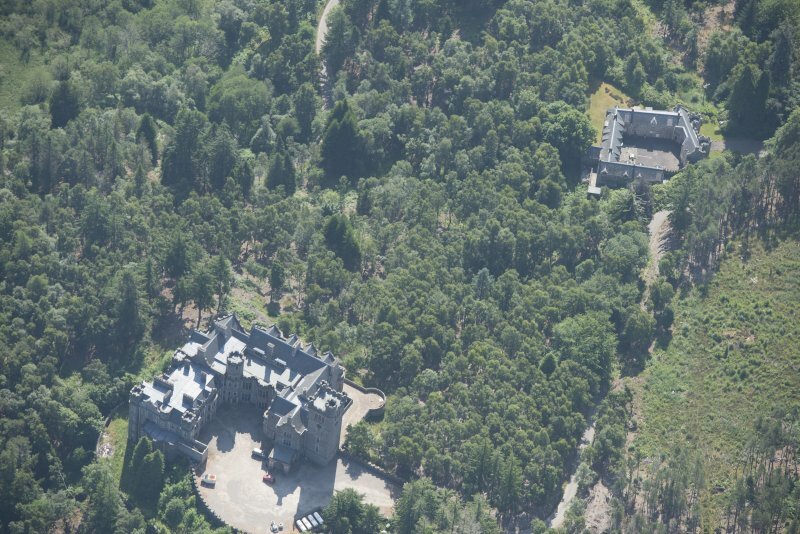 Oblique aerial view of Carbisdale Castle, looking S.
Oblique aerial view of Carbisdale Castle, looking SSW. 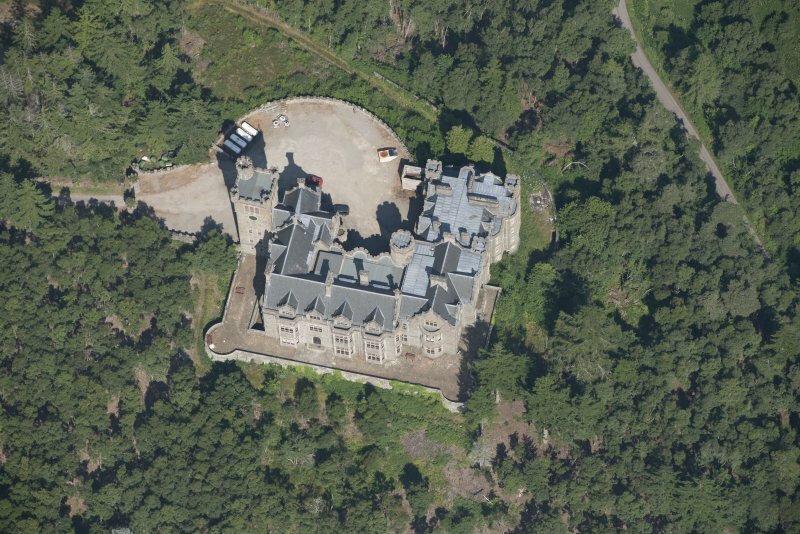 Oblique aerial view of Carbisdale Castle, looking W.
Oblique aerial view of Carbisdale Castle, looking NNW. 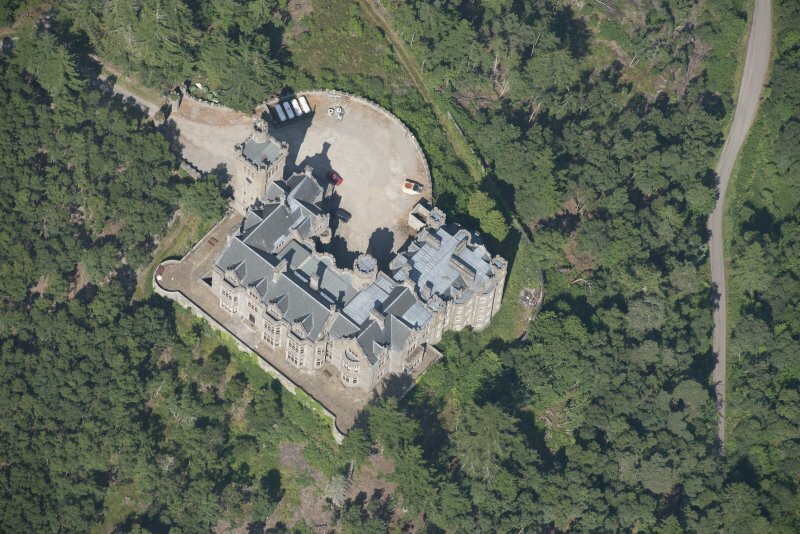 Oblique aerial view of Carbisdale Castle, looking SSE. Carbisdale Castle, Interior. View from interior window. NH59NE 29.00 NH 57448 95457. 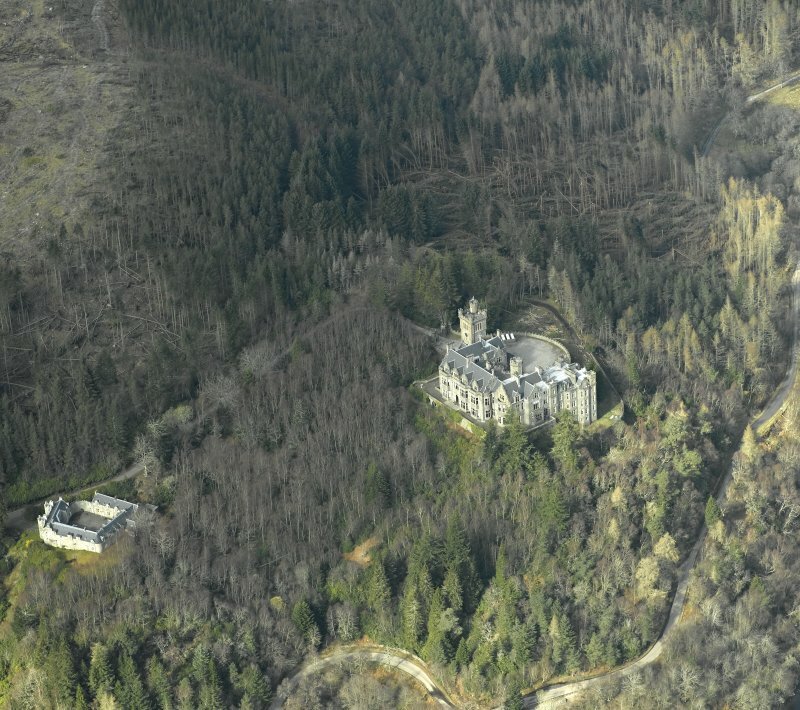 Carbisdale Castle stands imposingly on a wooded bluff overlooking the Kyle and the railway bridge, and is well seen from the A 836 to Lairg on the other side of the valley. The stone gate piers are like miniature towers with arrowslits and battlements, and they support attractive cast iron gates.Proceeding up the drive past the equally battlemented service block, note the astonishing female figures on the rainheads to the downpipes, also to be found on the castle but less easy to see. At the top of the drive are more gates, and a courtyard overlooking the Kyle with the house to the right. Built of a local dark stone, it has a sombre appearance and is a strange amalgam of styles of different dates. 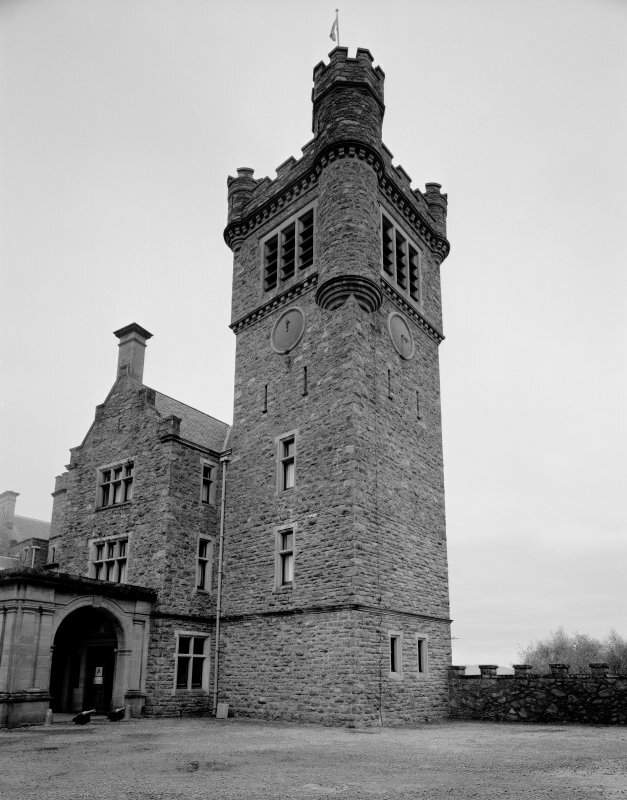 The clock tower was said in 1912 to show 'the stern strength which belongs to the Scottish Baronial style' but the wing opposite is English Tudor with stone mullioned windows and fancy gables, and between the two is a hall block with three curved bays. All this is on the north side: the gardens lie to the south with a view down to the Dornoch Firth. 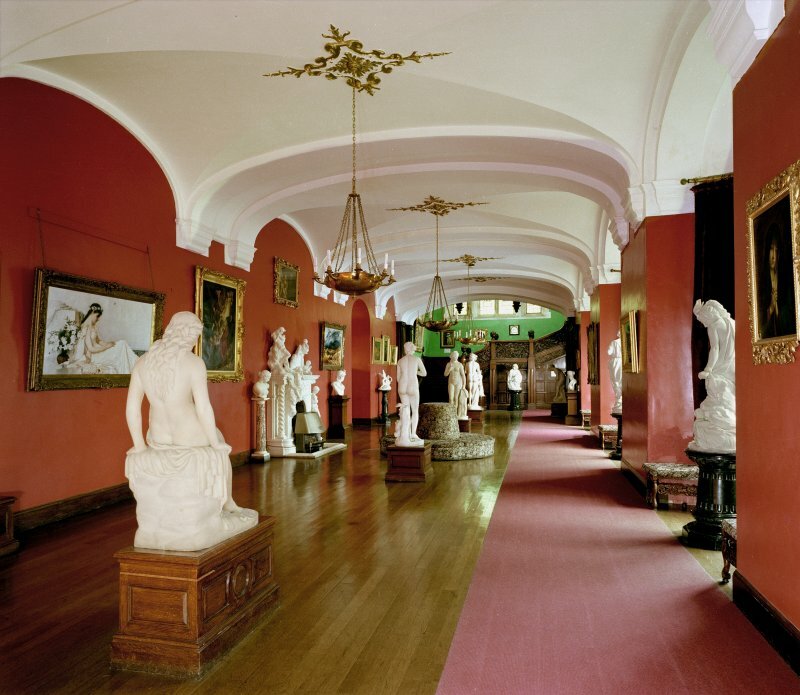 Inside (only accessible to youth hostellers) is a long, imposing hall full of 19th-century white marble statues by various noted European sculptors, a carved wooden staircase copying one by Grinling Gibbons, and some other original fittings. The rooms were decorated by periods, such as Tudor, Jacobean and Queen Anne. 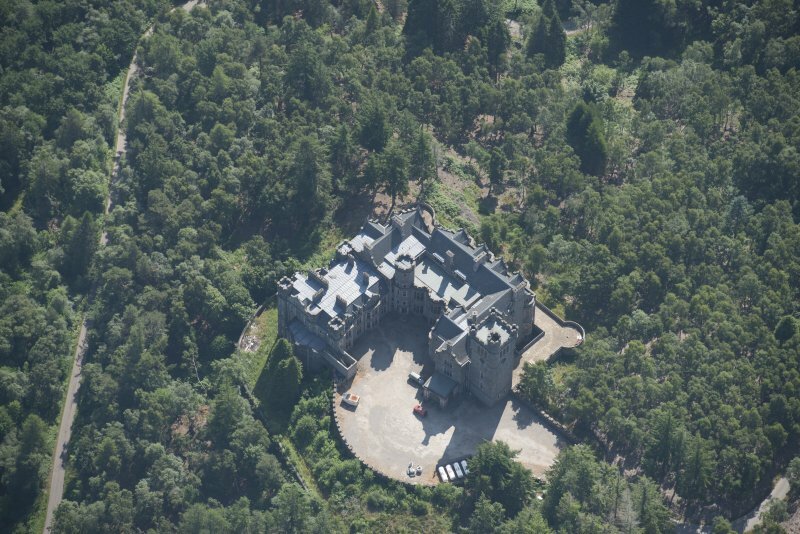 Carbisdale was built for 'Duchess Blair', the mistress and second wife of the 3rd Duke of Sutherland, who spent six weeks in Holloway Prison as a result of a wrangle over his will. He died in 1892, leaving her his personal fortune and the estate for life, but his son and heir contested this and the Duchess, while examining papers in front of lawyers, threw one on the fire. For this, a judge sent her to prison. 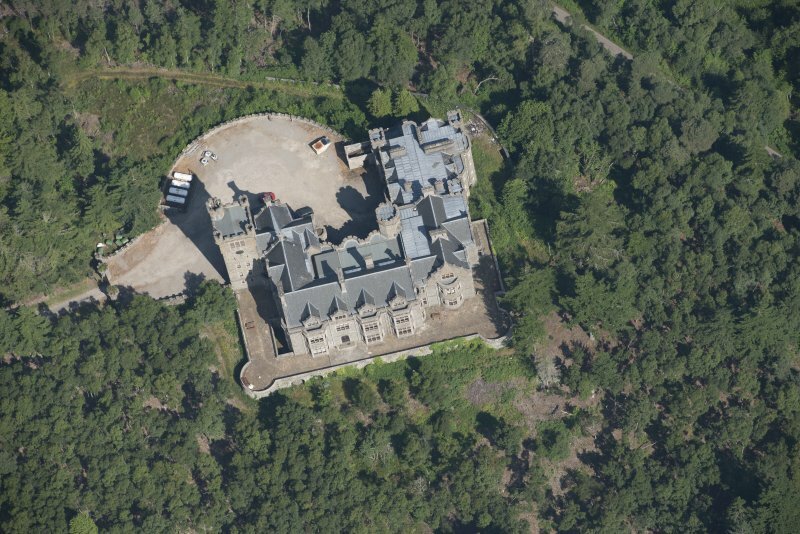 Soon after, she relinquished her claims in return for a large sum of money, which she used to build a castle to rival Dunrobin. Refused land in Sutherland, she built on the border of Ross-shire (as it then was), but the house was not finished when she died in 1912. 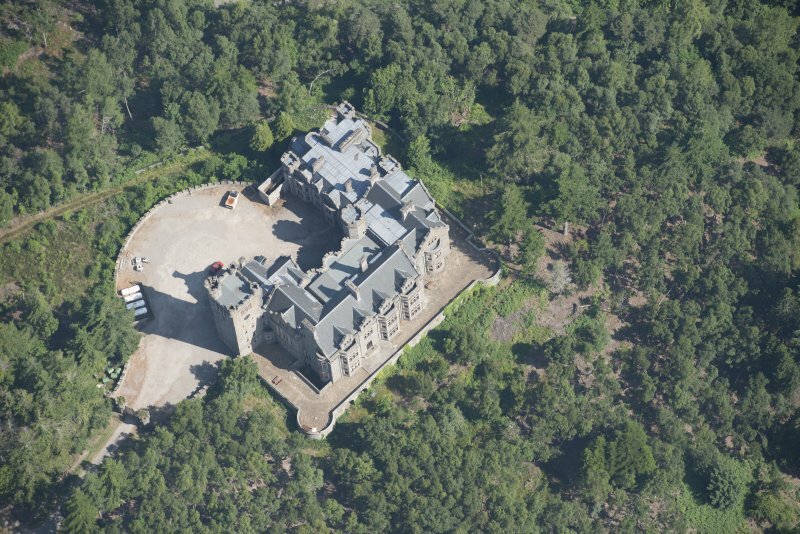 Carbisdale was later the home of the Salvesen family, and King Hakon VII of Norway lived here during World War II. 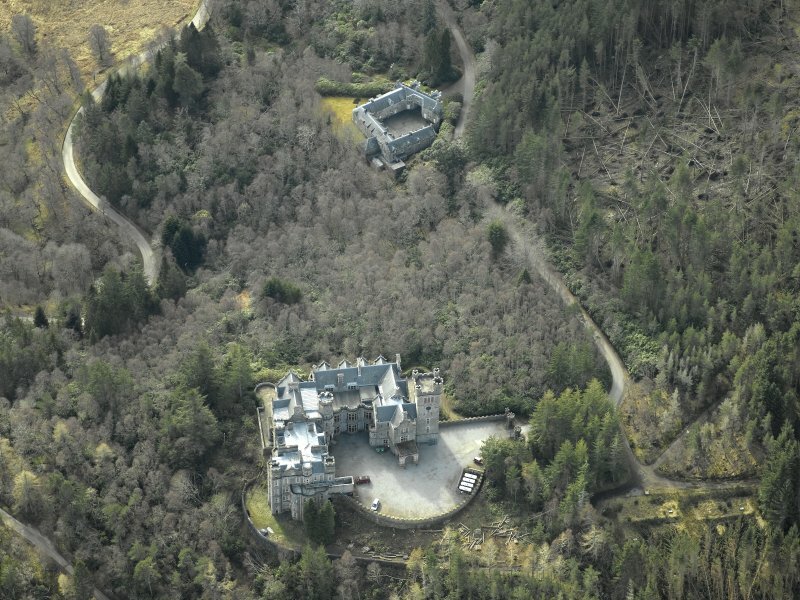 Carbisdale is also connected with the Covenanting Wars; at the top of the drive a marked Forest Trail leads west over the hill to the site of Montrose's last battle, where he was defeated in 1650.